← An electric future from the other side? The news hit many Audi fans last week. 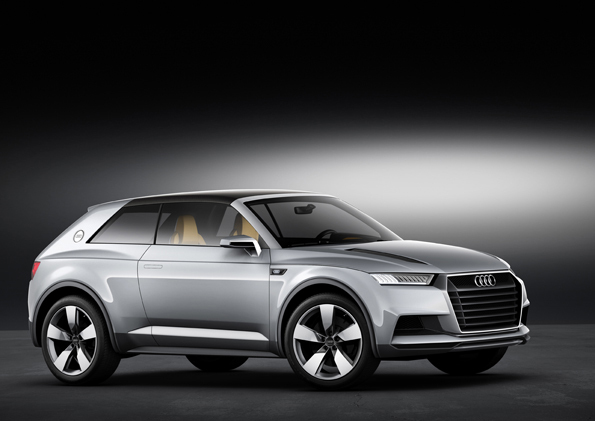 Audi, in all its marketing knowledge, decided there was no demand for its planned Quattro concept. What a pity, I really wanted to see it. Not only did it have the heritage of the original Quattro, a car that Audi has everything to be thankful for, but also it looked cool. It was the sort of Audi the true petrol-head wanted, not something designed for people who just buy cars. After the superb Audi TTRS, it would have been great for them to launch another good sports car, not some disappointment like the RS5. But no it was not meant to be. Instead, they have decided to push for a small crossover SUV, in the form of their Crosslane Concept, a concept so popular, I had to look it up before writing this. They cite the Range Rover Evoque’s success as a factor to this. 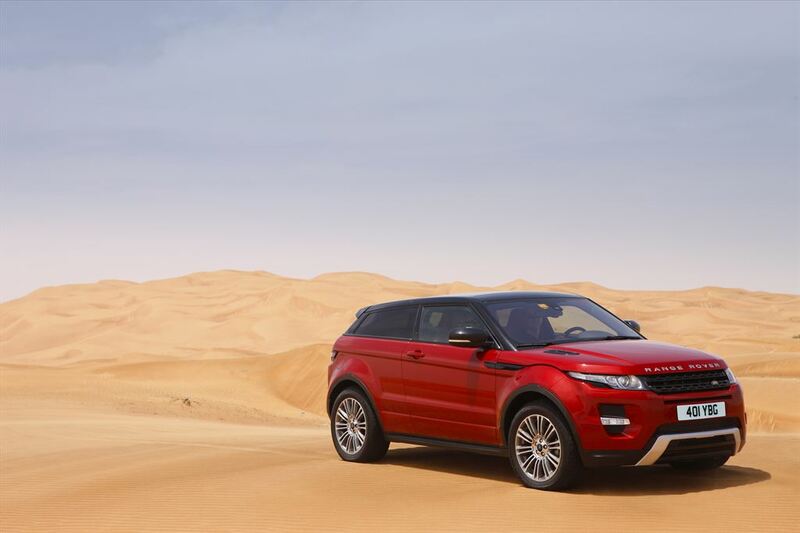 They are true on this one, the Evoque is a huge benefit for Range Rover, they are selling them by the truck-loads. It may be fairly good off-road, but over 99% of them will never see dirt as their environment of choice is the city. It is small, stylish and rugged. A bit like a designer pair of Timberlands. And Audi wants to cash in on this success. BMW are already present on this segment with their Mini Countryman, so in a way, it does make sense for Audi to bring out the concept, even if we cannot really care about it. But this got me thinking, with SUVs still a huge market, which goes down once, to only grow stronger later on, is it just a case of consumers changing aspirations? We thought SUVs would die off with rising fuel prices and environmentalism, but as the Evoque has shown us, demand is still very high. What is it that keeps attracting people to them? It is not the practicality and space, because mini-vans used to be way better for that. Fuel consumption, that is a bit of a joke. Social status? Maybe. The thing is, people like to feel as if they are in control. That feeling you get when things go your way, or when you observe how everyone around you is lost, yet you stay true, is very appealing. That aspect of being control is unbelievably important for our ego. Humans are known to have had three major ‘shocks’ in their existence. The first one came with the discovery that the earth is not the centre of the universe. Here we were thinking that the Sun revolved around us, we were all powerful. Yet it turned out we were just an unimportant speck of dust. Ouch, that hurts. The second shock came with Darwin and the theory of evolution. Here we were thinking that we were special, ‘God’ made us in his image, we were superior to every other living being. Turns out that was wrong as well. That monkey we see in the zoo, is just an earlier version than us. How can we feel important? The last shock, often open to debate, came with psychoanalysis. As Freud loved to explain it, our actions are not only governed by our thought, but by our subconscious. Try as we may, we cannot control that. In a way then, we were no longer in control of ourselves! The human ego just kept getting hurt more and more. We are not the centre of the universe, we are not the centre of the Earth, and worst of all, we are not the centre of ourselves! Needless to say, any object that allows us to feel in control and gives us superiority over nature will be cherished. Enter the SUV. A vehicle, that, even if it may be rubbish off-road and uneconomical, gives us the impression that we can face anything. So what if your BMW X3 will never go up a grassy hill, it looks like it can! Your Range Rover Evoque? That could go through Death Valley, so if you want to, you can cope with whatever nature throws at you. And when that single day of snow comes in Europe, oh how happy the SUV drivers are. They will mock the small saloons as they try to go out in the snow. Yes, the Audi Q5 may stay in the garage, (the weather-man recommended you stay inside and avoid all trips), deep down you know your SUV can cope with those whole two inches of snow. With the SUV, you believe you can compete and dominate nature with ease. Moreover, with their huge size, you also get safety and road superiority (well they like to think so). Yes, even though we like to act evolved and all, we still follow the ‘might is right’ rule. The person with the bigger car tends to win any argument, so the SUV is perfect for the city. Those scooters and Smart cars are mere peasants, designed to be squashed by your 22 inch wheels and adjustable suspension. We have spent years demonizing speed, and now we are paying the consequences of it. A fast car is no longer any use, since we cannot actually enjoy it. Therefore people turn to SUVs, which allow them to dominate nature and the city. In the process, they also get disinterested in cars altogether, pushing manufacturers to abandon great car projects, in order to focus on the plain old boring…. This entry was posted in Philosophy of driving and tagged audi, bmw, crosslane concept, evoque, mini, nature, performance, quattro, range rover, suv. Bookmark the permalink.